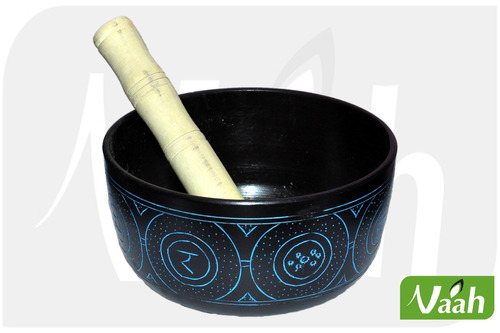 Priced at the most reasonable rate possible, the offered range of Singing Bowls has a high preference in the market. Owing to the finest raw materials and modern machines applied in its making, the product is known to have a superior sturdiness, resistance to corrosion, finishing and attractiveness. In addition, the offered range has its quality highly standardized. 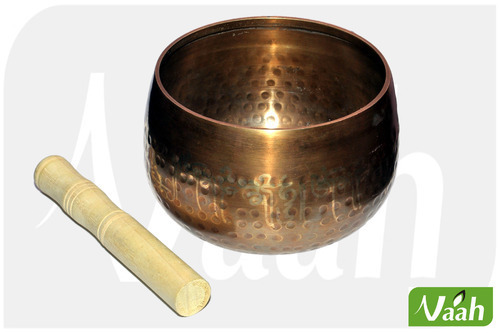 For the purpose of providing maximum satisfaction to our clients, we engage in the utilization of high grade raw materials and modern machines, for manufacturing this range of Hammered Singing Bowl. Manufactured in accordance with the set industry norms and guidelines, its quality never deteriorates. In addition, the offered range is marked at the most reasonable rate possible. We manufacture a wide range of Tibetan Bells with dorje.The dorje and bell are the primary ritual tools of Tibetan Buddhism. Always kept together they represent many layers of intricate symbolism and meaning and are used in almost all Tibetan ritual ceremonies, chanting and magical operations. 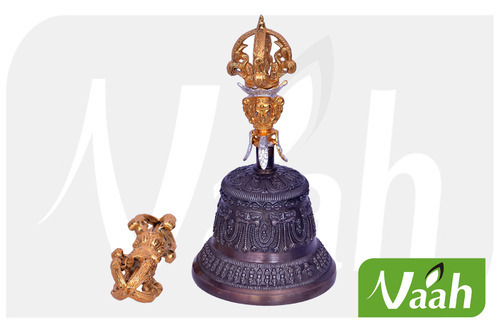 The dorje and bell represent the masculine and feminine principles in the cosmos and in the individuals energy body. The dorje is always held in the right hand and the bell in the left as these are the sides of the right and left channels in the body. 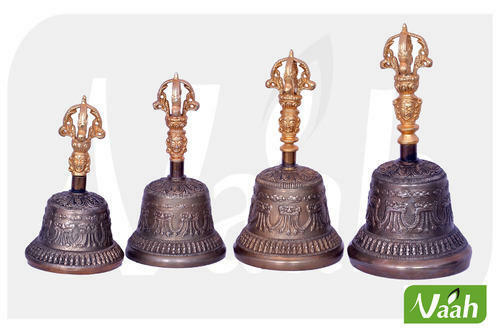 We manufacture a wide range of Tibetan Bells.The dorje and bell are the primary ritual tools of Tibetan Buddhism. Always kept together they represent many layers of intricate symbolism and meaning and are used in almost all Tibetan ritual ceremonies, chanting and magical operations. We manufacture a wide range of Tibetan Tingshas.Tibetan Tingshas are small Prayer Chimes used by Tibetan Buddhist Monks, Yoga Teachers, Holistic Health Practitioners, and Meditation Groups. 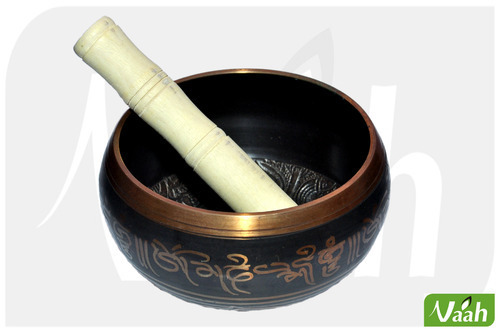 They are traditionally used for ceremonial functions throughout the Himalayan regions of Nepal, Tibet, India and, Bhutan They are often used to start and end a Meditation, Yoga Class, or simply for Space Clearing to remove negative energy around you. They come in matched pair, held together by a leather cord. It can be played by tapping the rims together or by clapping them together like cymbals. They are made of a special alloy with the thickness and shape being important elements in creating the beautiful overtones. Tingshas have varying emblems and symbols embossed on the outside. For the purpose of providing maximum satisfaction to our clients, we engage in the utilization of high grade raw materials and modern machines, for manufacturing this range of Aluminium Singing Bowl. 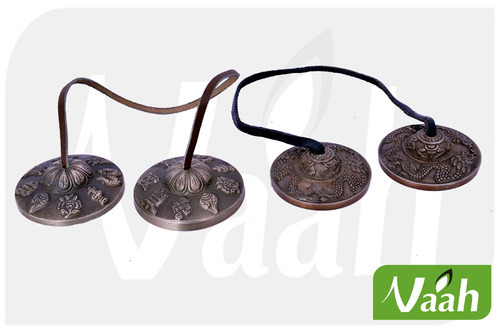 Manufactured in accordance with the set industry norms and guidelines, its quality never deteriorates. In addition, the offered range is marked at the most reasonable rate possible. Looking for “Singing Bowls & Bells”?